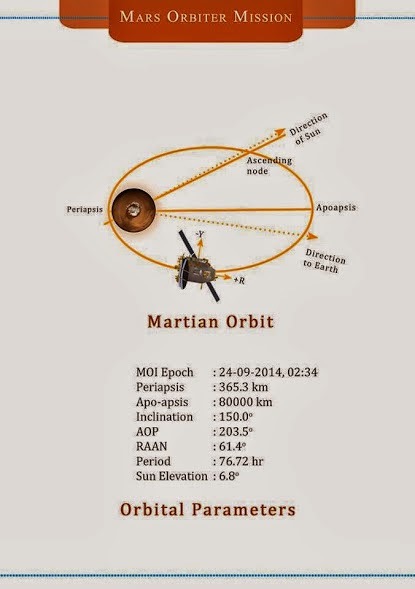 The Mars Orbiter Mission (MOM), informally called Mangalyaan, On Wednesday, Sept. 24, India could join the ranks of NASA, the European Space Agency and Russian Federal Space Agency having a successful mission to Mars. “India will become the first Asian country to have achieved this, and if it happens in the maiden attempt itself, India could become the first country in the world to have reached distant Mars on its own steam in the first attempt,” stated Dr. K. Radhakrishnan, chairman of the Indian Space Research Organization (ISRO). This history-making feat all hinges on rocket boosters, which must fire for 24 minutes and position the craft into Mars’ orbit. For 300 days the probe, named Mangalyaan, traveled 420 million miles in space to reach this moment. This maneuver requires skillful handling: Imprecise speed could leave the craft drifting in space, or crashing down to the surface of the red planet, BBC explains. And the odds of Martian entry are against the ISRO; out of 51 missions to Mars, only 42 percent have been successful. Dr. Kumar explained to NPR that the spacecraft will be slowed to 2.5 miles per second, using a reverse thrust. If that does not work, the ISRO researchers in Bangalore have a “Plan B,” blasting eight small thrusters to jerk the spacecraft into place. Further adding to pressure of this do-or-die moment, communication will be cut off from ground control due to shadow cast by Mars. Still, the ISRO scientists are staying positive. “We are confident that the laws of physics will favor India and the country could have its first robotic Martian baby soon,” M. Annadurai, head of the Indian Mars mission, told BBC. The Mangalyaan probe will conduct smaller experiments; it will study the Martian atmosphere and look for methane gas, BBC reports. 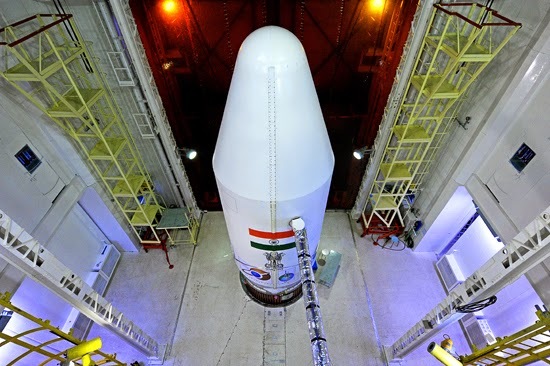 However, it is hard to ignore what an interplanetary mission means symbolically, especially establishing India’s tech and science dominance — and doing it on the cheap. BBC calculated that the Mars Orbiter Mission, or MOM, spacecraft cost each Indian citizen four rupees, or seven cents to build. On Sunday, NASA’s Mars probe, Maven, entered the Martian orbit. Maven will study the mystery of Mars’ missing water. Annadurai was earlier project director of Chandrayaan 1. Shivkumar, who played a key role in realizing the ground segment for Chandrayaan 1, is the director of Isro Satellite Center in Bengaluru, which will be t he lead center for the design, development, fabrication and testing of the Mars Orbiter Mission's payloads and satellites. S. Arunan is the Mars mission Project Director.